It’s hard to stop at just one chip, isn’t it? Is it the crunch, the fat, the soft inside, the taste? Actually, it’s probably the salt. Cut down on salt, we’re told. Read labels. Don’t salt your food. Australians are eating double the recommended amount of salt per day. While salt and its health risks have become a topic of hot debate, there is firm evidence that in salt-sensitive people especially, salt contributes to high blood pressure. And we know high blood pressure is a risk factor for heart disease and stroke, the world’s biggest killers. What this means is that salt added to fatty foods, such as potato chips, will lead to passive overconsumption and obesity. It’s why you can’t stop at just one. Many parents quite rightly restrict children’s access to sugar. But to reduce their risk of becoming overweight you need to look at their salt intake too, says another study from Deakin University. Published in the British Journal of Nutrition, the study of over 600 primary schoolchildren found that children eating greater amounts of salt were more likely to be overweight or obese. And with 70 per cent of Australian children eating over the maximum amount of salt recommended for good health, that’s a significant factor in the current rate of childhood obesity. 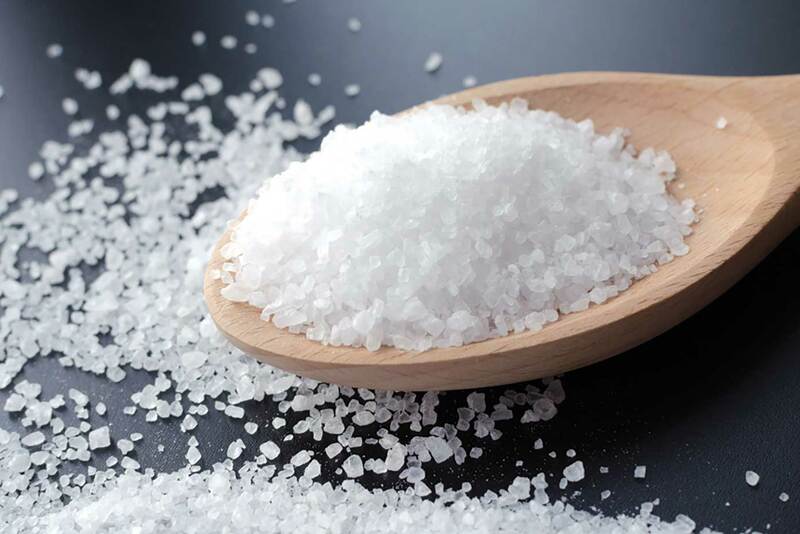 We know a high salt diet can lead to high blood pressure and cardiovascular disease risk. Now a study on animals has shown that a high salt diet can negatively affect the brain too. Within a few weeks on a high salt diet comparable to many human diets, blood flow to the brain was affected, causing cognitive impairment (a decline in thinking skills including memory). The researchers put the results down to an increase in the levels of a pro-inflammatory molecule called IL-17, an effect also seen in humans. Much of the salt we’re eating is from everyday foods like bread, cheese, ham and sausages. But it’s also loaded into processed foods, such as ready meals like Mac and Cheese, cook-in sauces, pasta sauces, rice mixes, some soups and of course all the salty snack foods that we love. The food industry is as smitten with salt as we are, says Michael Moss, author of Salt Sugar Fat: How the Food Giants Hooked Us. “Salt is this miracle ingredient that solves all of their problems,” he explains. “There is the flavour burst to the salt itself, but it also serves as a preservative so foods can stay on the shelves for months. It also masks a lot of the off-notes in flavours that are inherent to processed foods.” Many food manufacturers have started to reduce the salt content of their foods, with little backlash from consumers. Your best bet is to compare the same foods from different brands, to find the lowest salt version.